German painter who was perhaps the leading artist of early Neoclassicism. 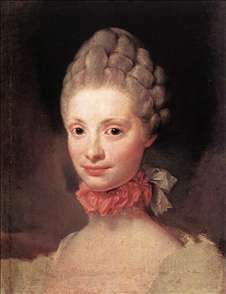 Mengs studied under his father in Dresden, Saxony, and then in Rome. He became painter to the Saxon court in Dresden in 1745 and executed a large number of portraits, most in brightly coloured pastels. 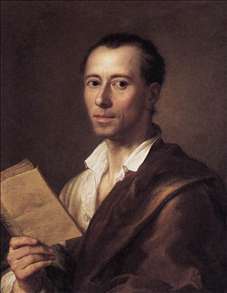 Mengs returned to Rome in the early 1750s, and about 1755 he became a close friend of the German archaeologist and art critic J.J. Winckelmann. 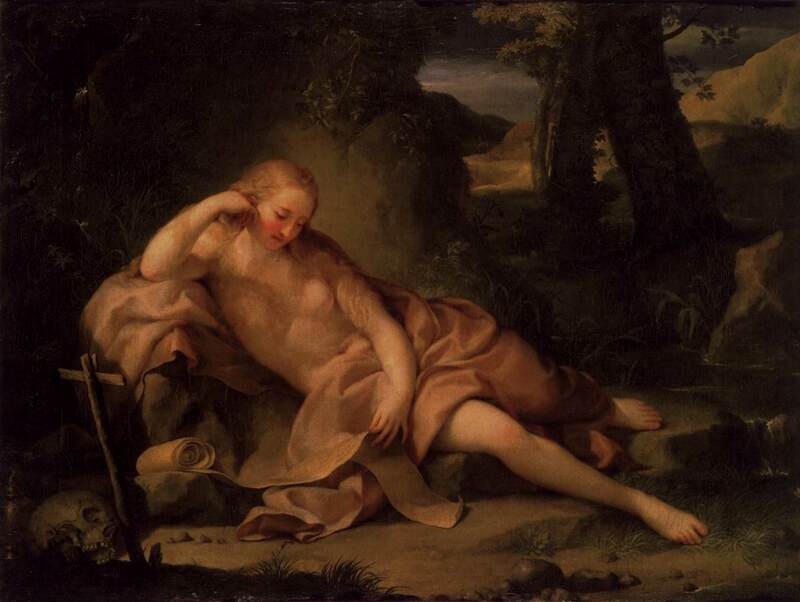 He came to share Winckelmann s enthusiasm for classical antiquity, and upon its completion in 1761 his fresco Parnassus at the Villa Albani in Rome created a sensation and helped establish the ascendancy of Neoclassical painting. 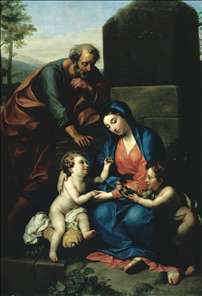 Mengs also continued to paint portraits during this period, competing with Pompeo Batoni, the leading Rococo portraitist of the Roman school. 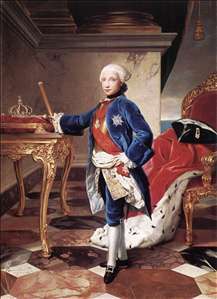 In 1761 he went to the Spanish court at Madrid, where he worked on the decoration of royal palaces. From 1769 to 1772 Mengs was in Rome, decorating the Camera dei Papiri in the Vatican, and he returned to Spain from 1773 to 1777. 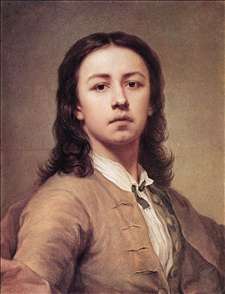 Mengs was widely regarded in his day as Europe s greatest living painter. 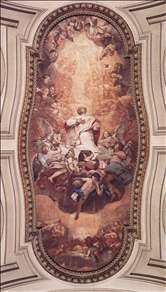 He eschewed the dramatic illusionism and dynamism of the Baroque style in his figural compositions, preferring instead to blend quotations from ancient sculptures with stylistic elements of Raphael, Correggio, and Titian. 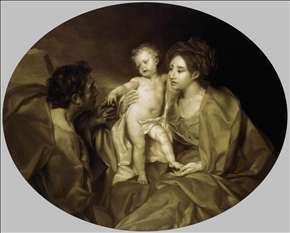 The results are generally cold, insipid, and contrived, however, and Mengs s reputation has declined precipitously since the 18th century. Some of his portraits display a freedom and sureness of touch entirely lacking in his more ambitious works. Mengs s treatise Reflections on Beauty and Taste in Painting (1762) was also influential in his day. See more details about "Maria Luisa of Parma"
See more details about "Ferdinand IV, King of Naples"
See more details about "The Holy Family with the Infant St John the Baptist"
See more details about "The Penitent Magdalene"
See more details about "Glory of St Eusebius"
See more details about "Portrait of Johann Joachim Winckelman"